The Roskamp Institute, a world renowned research facility located in Sarasota, has made important discoveries with profound clinical implications for the millions of Americans with neurological disorders. 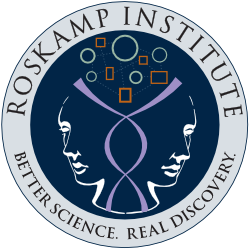 The Roskamp Institute established its research facilities and team of scientists in Sarasota in 2003. At that time the Sarasota-based Roskamp Foundation provided the administrative and organizational structure for the innovative Institute. Now, the Institute has become firmly established as a leading not-for-profit, independent body in the international research community with its programs and projects supported by the National Institute of Health, the U.S. Department of Defense, the Veterans Administration, the European Commission Seventh Framework Programme and several other national and international peer reviewed agencies. 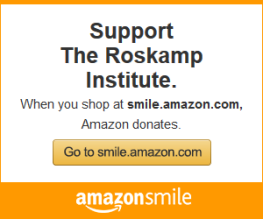 The Roskamp Foundation’s two principals, Bob and Diane Roskamp, made an important gift to the world health community, providing substantial resources to aid the discovery in new drugs and treatments for debilitating diseases of the brain. The groundwork for the Institute’s research programs was laid more than two decades ago by the Institute’s two lead researchers, Dr. Michael Mullan and Dr. Fiona Crawford, who were part of a pioneering team of scientists at London University. This group identified the pathogenic mutations in the APP gene responsible for early-onset Alzheimer’s Disease. The groundbreaking research work of this team discovered that such mutations facilitate an enhanced cleavage mechanism on either side of the β-amyloid region of APP, increasing the rate of β-amyloid in the brain resulting in the development of familial early-onset Alzheimer’s Disease. In the course of their research, the Institute’s scientists discovered that inflammation in the brain is directly associated with many other brain disorders. The team has also made progress in the development of medications and therapeutic treatments that will reduce or slow the toxic accumulation of beta-amyloid and its associated inflammation. In June 2011 it was announced that an international research consortium led by Trinity College Dublin, Ireland and The Roskamp Institute has been selected for funding by the European Commission Seventh Framework Programme for a large-scale European clinical trial on Nilvadipine, an Alzheimer’s Disease drug developed at The Roskamp Institute. This grant of $8.4 million has allowed more than 500 Alzheimer’s patients across Europe to participate in a multicenter Phase III clinical trial designed to study the effectiveness of the drug on humans. This is but one aspect of the Institute’s work battling the debilitating and deadly diseases that afflict so many Americans and others worldwide.